An installation of twenty-four artworks depicting the cosmic year as a four-season, four-direction, cross-cultural celebration. It explores the ability of art to encompass this global entwining of time and space, which once understood, allows us to energetically be in the right place at the right time. This Kentucky Arts Council sponsored show will travel to 12 libraries around Kentucky from February 2017 – December 2018. Click here to view the slideshow of the work of 29 artists who incorporate text as a design element and to see the calendar of locations. This show speaks to the other side of BLUE. The Blue that makes you feel fabulous, gives you energy and calmness; all at the same time. This show is all about the beauty that Blue gives to each of us everyday! 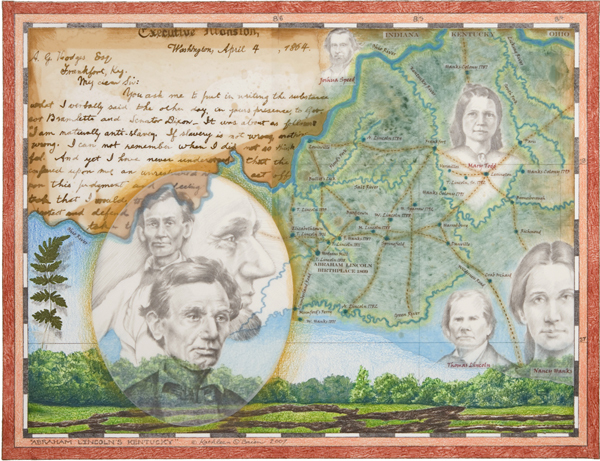 The preservation of Kentucky stories, places and traditions has shaped its culture today. This exhibit includes over 60 works by 51 Kentucky artists who have recorded and celebrated numerous facets of Kentucky’s rich 225-year history. These works capture the essence of Kentucky – including its places, people, events, commerce, agriculture and the state’s unique flora and fauna. Accompanied by written stories and histories in each artist’s words, this exhibit entices the viewer visually and verbally. We’ve done this show before but not like this! 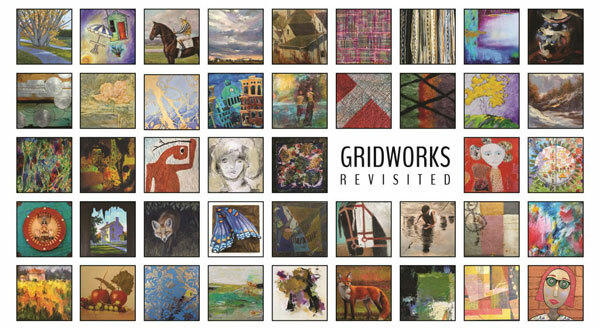 Imagine 60 plus artists, over 120 paintings, any subject matter, all 12×12 and you have GRIDWORKS REVISITED! Join us for this fun show featuring some of Kentucky’s finest. Click the KAC link to view the video of the work of 24 Kentucky artists on display. Click here to read the Advocate Messenger article. Horizon: Contemporary Landscape will be on view during Annual Open Studios ARTTOUR, as Community Arts Center is #6 on the map of participants! Juror, Isaac Powell, Professor at Eastern Kentucky University, chose 40 works out of over 230 submitted works from 21 states and Canada. Click here to see the Gallery of Accepted Work. In honor of the Earth and to celebrate Earth Month, recent visionary maps & contemporary landscapes & the Geopoetry Stanley D. Brunn, Ph.D.
April 16, Stanley D. Brunn, Ph.D., geographer and geopoet, discusses his upcoming book, The Changing World Language Map. 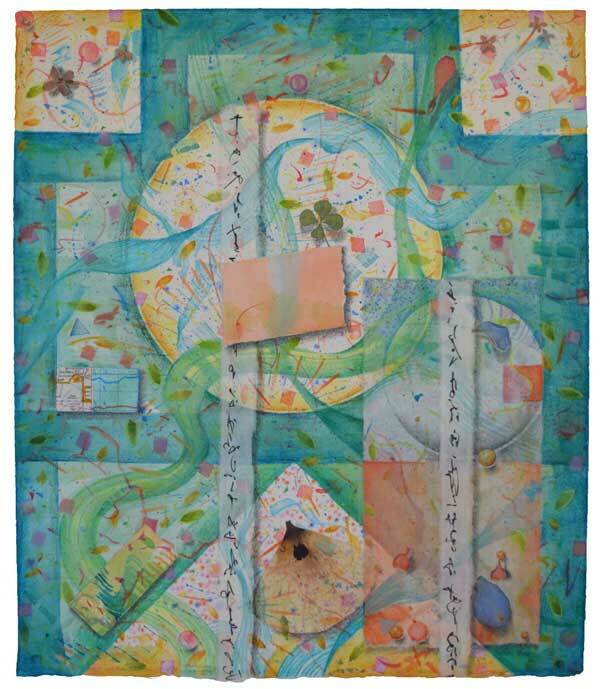 April 23, An afternoon tea and a special viewing, followed by a discussion of Art and Poetry as the intersection of science, art, and spirituality. “February 8, 2006”, postcard front from “Each Day in the Year of the Fire Dog”, 365 postcards front and back by Kathleen O’Brien that will be on public display for the first time. “Pollinator 1″ and” Pollinator 2″ will also be displayed. 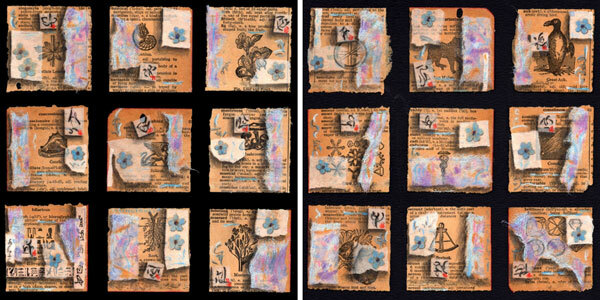 Over 40 pieces by well-know Kentucky artists demonstrate a wide range of paer-based media: drawings, Prints, photographs, watercolors, collage and artist’s books. From intimate to monumental in scale, these works also reveal a variety of subject matter and approaches. See the artwork in the show. 21 artists have work on display for this four day event. It is an honor to be one of the invited artists, showing thirteen framed artworks, Giclee prints and cards. that moves beyond literal representation. From 380 international artworks juror Nathan Zamarron, chose 45 to be exhibited. Talisman for Children, pictured to the right. To see the 45 artworks in the show click here . Here are a few reception photos by Melissa Hall. Click here to watch a two minute video. A visual experience of Sunwise Farm & Sanctuary – drawings & collages inspired by feathered & winged friends, the plants they pollinate & feather objects as still-life talismans. I am pleased that “Pollinators 1″ was awarded Honorable Mention Award in this show . 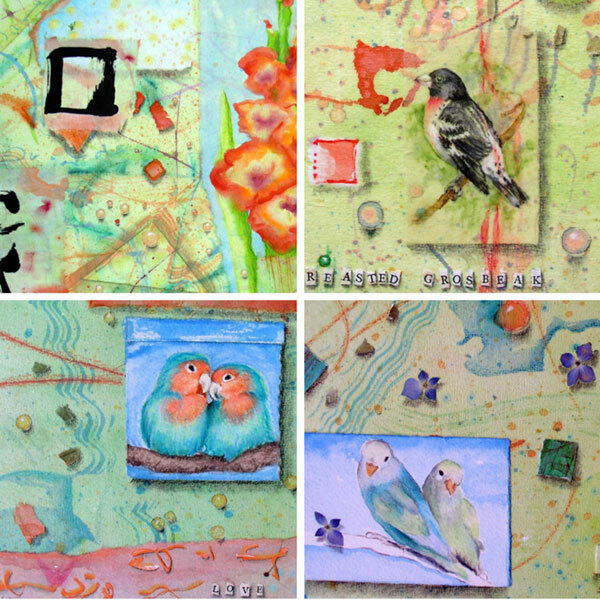 Birds of a Feather, is a collaboration of Lesley’s silkscreen with Kathleen’s drawing and collage. 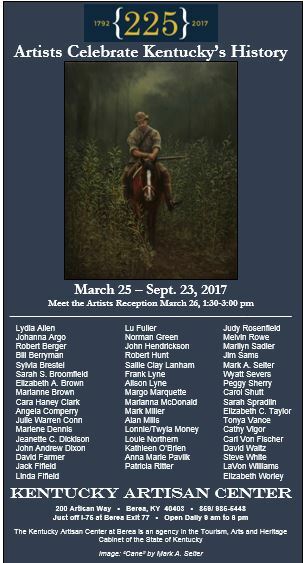 The exhibit was part of the 30th anniversary celebration of the Kentucky Arts Council’s Al Smith Individual Artist Fellowship. 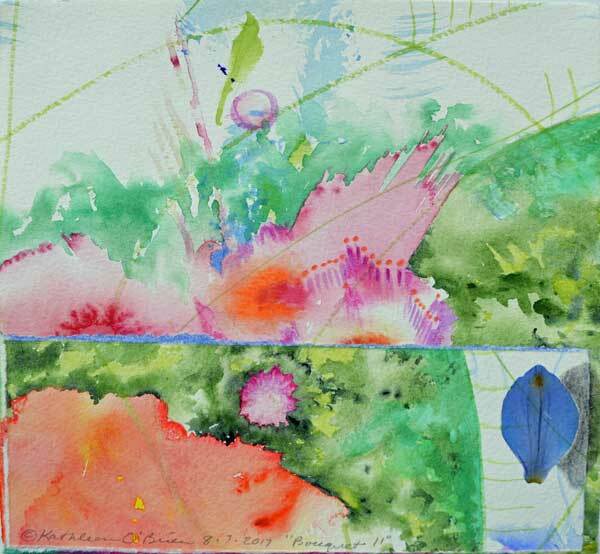 As a 2012 Fellowship recipient, my Song for Rainbow Parrot was chosen to be in Uncommon Wealth by the juror, Jenine Culligan, Senior Curator, Huntington Museum of Art. The exhibit toured the state for six months beginning at the Lyric Theatre in Lexington,Kentucky, in January 2014.